This is such a clever ad by Mercedes Benz. I am the messy one on the right! What about you? If you enjoyed this post, you would probably also like Phew, I Have A Personality! I guess so?! 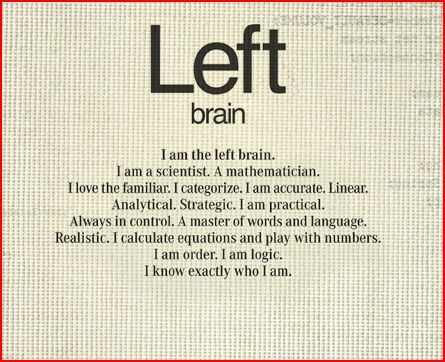 I have bits of both, but more so on the right side. It is a very good ad. Perhaps I like it so much because I am more on the right side. 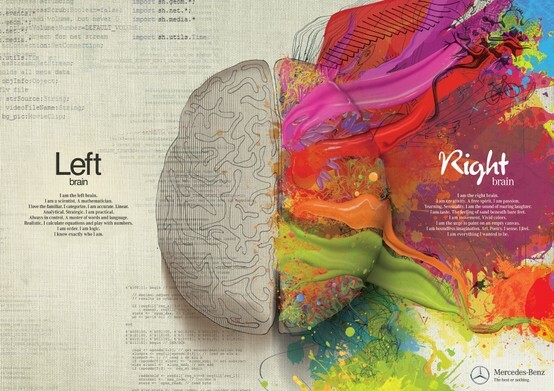 Creative ad = right sided brain approval! I like to be creative but only with things that have patterns (crochet, sewing etc) and the colours and mess on the right side make me feel quite uncomfortable!! 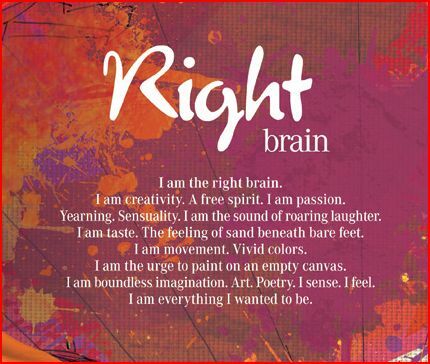 but the “colour” used in the left brain description are definitely to my liking….Thank goodness we are all different, balances us all out in the end! !